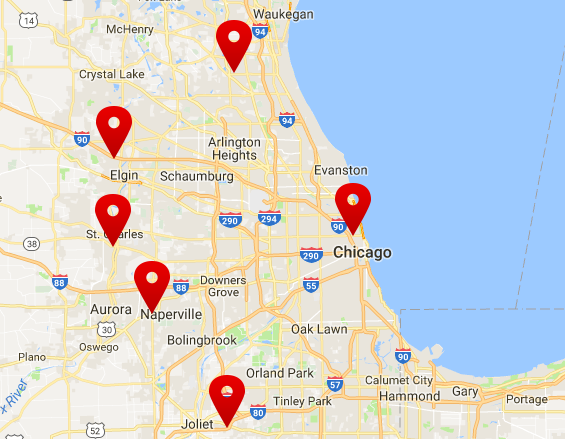 Seigle’s carries the best kitchen and bath cabinetry brands in a wide array of styles, from stock to semi-custom and custom, as well as full-access European frameless cabinetry. Look to Seigle’s for a cabinet solution for every kitchen and bath decor, style and budget, in the latest color trends, styles and finishes. Click on a cabinet brand below to view the options available. Brands are listed in budget order from affordable to fine-custom. *NatureKast is a brand of cabinets for outdoor use only, such as around a pool or an outdoor grill. Aristokraft creates quality cabinets with an eye on affordability. Products feature state-of-the-art finishes, easy-clean interiors and dependable hardware—all with great style in mind. Budget: Value-priced production line of cabinetry perfect for both first time homeowners and step up buyers. Known for: A wide assortment and affordable offering of quick ship cabinets in two grades of construction: Standard and Select. Diamond offers carefully crafted products with standards of quality and style, always with an eye toward intelligent organization solutions. Cabinets offer superior strength and designer inspired colors to fit any style. Budget: Diamond is a nationally recognized brand of semi-custom cabinetry for the more discerning customer looking for more stain and style options and the ability to modify sizing. Known for: A wide assortment of space efficient cabinets and options to maximize storage. DuraSupreme offers personalized design choices and outstanding quality of construction. They deliver outstanding value along with outstanding design choices in hand-crafted cabinetry. Budget: DuraSupreme offers a semi-custom and full-custom line of both framed and euro-tech frameless cabinets. Known for: Always on the cutting edge of design trends, DuraSupreme satisfies traditional, contemporary and transitional tastes in style and finishes. Decora offers high quality cabinets made with exquisite detail. Every Decorá cabinet is hand crafted in Jasper Indiana, an American woodworking and furniture-making hub since German furniture makers founded the town in the 1800s. Budget: Decora is a full custom line of cabinetry with extraordinary options of woods, specialty finishes, styles and sizing to meet the needs of the most discerning kitchen customer. Known for: An endless assortment of virtually every option imaginable, even in-set design, at reasonable lead times. 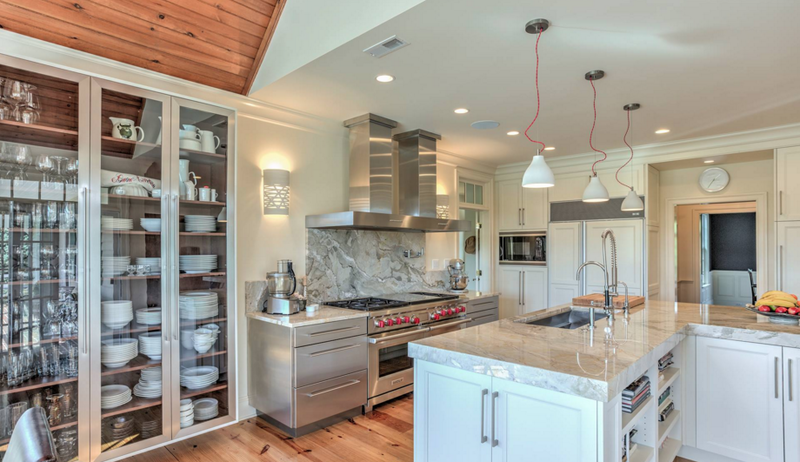 Elmwood Fine Custom Cabinetry provides high quality custom cabinetry. Only the finest hardwoods and cabinetmaking materials are suitable for their bold designs. Budget: Elmwood offers a semi-custom and full-custom line of both framed and euro-tech frameless cabinets. Known for: Everything from the simplest of cabinets to the most sublime styles often only seen from the most exotic European brands. Safe to safe, if you can dream it, Elmwood can build it. 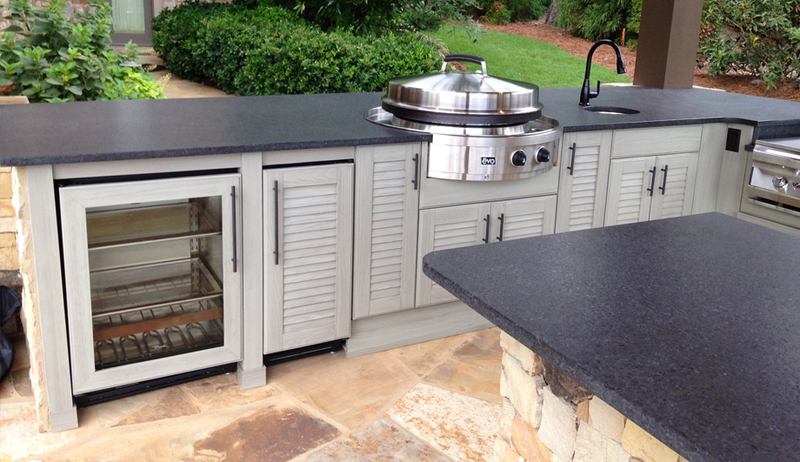 NatureKast Weatherproof Cabinetry specializes in cabinets for outdoor living spaces. Their cabinets are durable and packed with features you would want to include in your outdoor living space—and on top of all that, they are completely gorgeous. Budget: The wide range of styles and finishes rivals the cost of stainless steel, but offers you a more natural look. Known for: Outdoor cabinetry that replicates the look and texture of natural wood, but is built for durability. Sign up now to get the latest news and information about promotions and contests. Come out and visit a Seigle’s showroom and start planning your new kitchen or bath. © 2018 Seigle’s Cabinet Center, LLC. Click to view it now! now through Dec 31, 2015.
virtually design your kitchen now! now through Aug 31, 2016.
now through Dec 31, 2016.